Garment worker, Sau Kuen Wong, at work at her sewing machine. 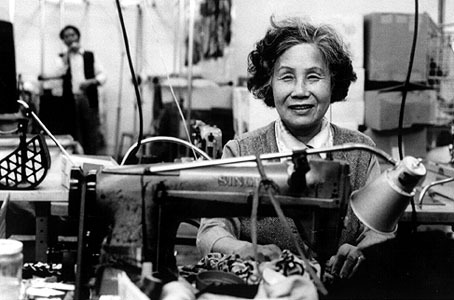 Asian workers, mostly women, constitute a major part of the needle trades work force, many of them in shops located in New York City's Chinatown. Photograph from the International Ladies Garment Workers Union Archives, photographer Bob Gumpertz.